Is your child in elementary school? If so, then he or she could benefit from knowing a few techniques and strategies for taking tests. Read on to find out a few techniques as well as ways that you can help your child perform well when exam time arrives. How Can I Help My Child Prepare for Elementary School Tests? In many states, elementary children first take standardized tests in third grade, although it starts earlier in some states. Standardized tests often require a specialized form of test preparation because your child will need to study information learned over the course of an entire school year and practice answering multiple-choice questions. Fortunately, there are a variety of things that you can do to help your child develop strong test-taking skills for standardized tests and any other exams he or she may encounter. What Kind of Tests Are There in Elementary School? The type of tests that you can expect for your child depends mostly on where you live, what kind of school your child attends as well as his or her grade level. If your child is in a private school, he or she may not be required to take standardized tests at all. On the other hand, your child may need to take all of the public school standardized tests and more, depending on his or her needs and abilities. What Are Some Techniques and Strategies to Help My Child Prepare? There are many techniques and strategies for test taking that you can teach your child as well as a number of activities you can try at home to improve his or her test-taking abilities. First of all, it's important to keep your child's mind active while he or she is not at school. Participate in fun, educational activities with your child and read with him or her. Having a dedicated workspace can be helpful to many children. If possible, create a space free of clutter and distractions where your child can study and do homework. Go over assignments with your child to ensure that he or she has retained the information. In the weeks and days leading up to a test, administer practice exams to your child at home. This exercise will help your child get used to taking exams and answering multiple-choice questions. It will also allow you to assess the areas in which your child needs the most help. What Are Some Useful Resources? 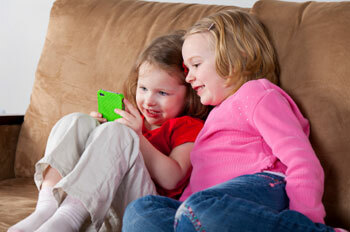 Many websites will provide your child with helpful resources, such as activities, worksheets and educational games. You can find out from your child's teacher about what skills he or she might be struggling with and use that information to select appropriate activities from such sites. Your child can prepare for standardized tests using online test preparation resources. Many states provide free practice exams and questions that you can either download or get from your child's school. Practice and sample tests can be an invaluable resource for helping your child prepare for tests. If your child is having a difficult time in any particular area, you may consider seeking help from a learning center, learning expert or a tutor. There are a multitude of tutoring services to choose from, including private, independent tutors, national tutoring companies and online services.